Looking for a dash cover to protect the dashboard in your '98-'02 Dodge Ram from the summer sun or to cover damage? Get the DashMat. We've tried all four colors of the UltiMat and DashMat. 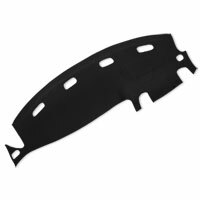 We strongly recommend the black dash covers as they do not glare into the windshield. UltiMat and DashMat both provide a great fitting cover. 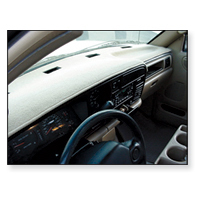 The UltiMat is more expensive (about $20), but the UltiMats have a better contour to the dash and are heavier than DashMats. We sell more of the UltiMat (2 to 1 ratio). The choice is yours.